For the last month or so, the Toad Hall restaurant in Fantasyland has been closed for refurbishment. 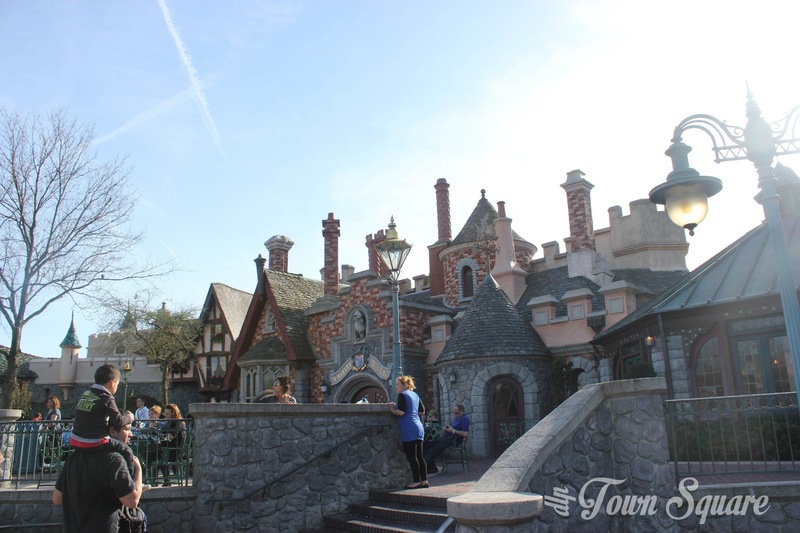 Toad Hall is a restaurant serving traditional British cuisine at the northern end of Fantasyland. @Disney_ParisEN (the official English language twitter account of Disneyland Paris), the restaurant used to have 3 cashier desks, this has now been increased to 6 desks to speed up ordering, one of the lanes has been adapted to people with disabilities (this has already been done in ‘Au chalet de la marionette’ in Fantasyland), food is now served in a food basket (such as in ‘Cowboy Cookout’ in Frontierland), more good news for those concerned with how the food is cooked, the kitchen has been upgraded with the safety of the cast members in mind. We also received information about the refurbishment from @InsideDLParis (if you don’t follow him, I really recommend it for the inside track on Disneyland Paris every single day), the menu remains the same (Menu 1 is Chicken Burger €10,99, Menu 2 is Fish and Chips with either a yogurt or ice cream for €11,99 or a double fish and chips with either fruit cake or fruit salad for desert) for €13,99. There are also sauce dispensers instead of sachets for Ketchup, Mayonnaise and Mustard. Good news all round, who plans on eating some lovely Fish and Chips in Fantasyland on their next visit? Toad Hall is located in northern Fantasyland between Peter Pan’s Flight and the Disneyland Railroad serving a range of fast food options including a chicken burger and Fish and Chips, inside the restaurant is a traditional British theme and the character Mr. Toad from the 1949 Walt Disney Studio’s film ‘The adventures of Ichabod and Mr. Toad’. What is ‘Fait-Maison’ and why does it matter to Disneyland Paris?